Fall may have just begun, but winter weather will be here before you know it. 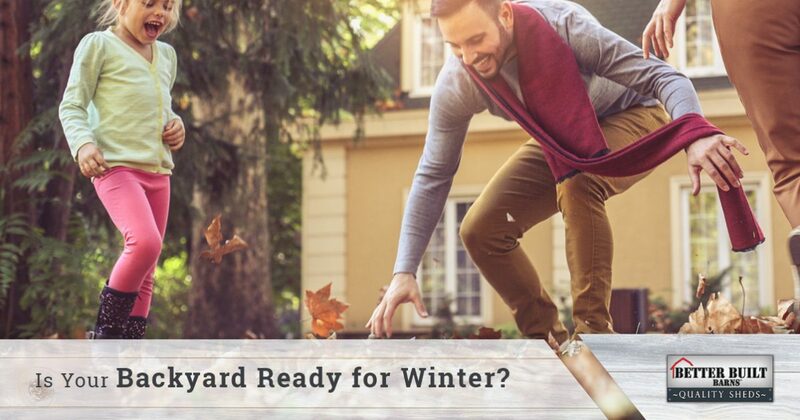 When you live in Washington state, you know that winter can bring a lot of snow, and it’s important to make sure that your backyard is ready for colder weather. If you have patio furniture to put away, or you need somewhere to store the snowblower, then a custom shed can be a great option. At Better Built Barns, we can help you find the perfect building! With summer having just ended, chances are there are some things still sitting the backyard. Your above-ground pool might still be full, and the kids may have left their bikes leaning against the house. If you don’t want to store these things in the garage this winter, then a new shed is an ideal choice. You may think you have plenty of time before the first snow falls, but now that October has arrived, that could be any day now. Putting away your tables, chairs, bikes, and more sooner rather than later will save you from having to do it with four inches of snow on the ground. 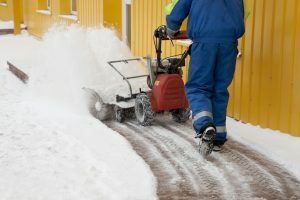 Once cold weather arrives and sticks around, you’ll want to be sure that your snowblower, shovel, and other winter tools are easily accessible. If you don’t have time to reorganize the garage before winter, then put up a small backyard shed for all of your winter gear. Not only can you store your shovels and snowblower, but you can also stash your sleds, skis, and more. When you want or need to go outside in December or January, you’ll know exactly where everything is. If you have plants in your backyard that you want to protect over the winter, then bringing them inside is often the best choice. Ferns and flowers that are in outdoor planters can be moved into your new shed, instead of trying to find a spot for them on the back porch or in the garage. You can add insulation and heating to your new shed, making it the perfect greenhouse. Your plants will be protected from freezing temperatures, and they’ll be ready to go back outside once spring returns. If you’re starting on your fall chores, such as cleaning out the gutters and putting outdoor items away for the season, then a new backyard storage shed could be a great choice. You won’t have to pile things in the garage, and keeping things organized can be much easier inside a shed. At Better Built Barns, we can help you find the ideal shed for your property, and we can have it built and installed in no time at all. Visit our FAQ/Installation Info page for details on what you need to do to get your backyard ready. If you have any questions, then please contact us right away. We look forward to helping you build your new shed!